This was nicely confirmed by Dr Peter Schnohr, a researcher at the University Hospital in Cpenhagen. At a recent medical conference in Dublin he presented the findings based on data from the Copenhagen City Heart Study. This study has been underway since 1976 and is ongoing, successfully providing the basic raw data for literally hundreds of scientific papers. This particular study investigated the relationship between moderate jogging and lifespan. The study compared male (1,116) and female (762) joggers with non joggers and the results were great for those who jog and would like to live longer! 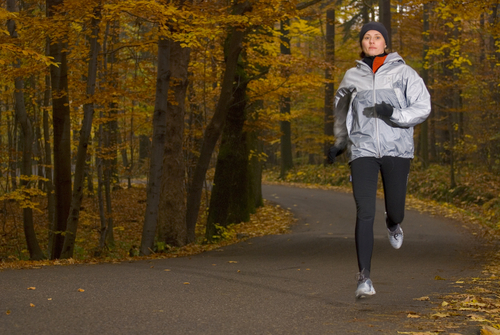 Regular jogging of a slow to moderate pace, between 1 and 2.5 hours per week significantly extended longevity. Actual numbers were 6.2 years for men and 5.6 years for women. Impressive numbers for such a small input of time and effort. Here in Vancouver we are blessed with great terrain, a wealth of running groups and excellent knowledge in the local running equipment stores. Remember to start slowly and always be having fun. These previous posts will help you get started. http://www.west4thphysio.com/archives/864 – When to replace your shoes? This entry was posted in Avoiding Injury, Men's Health, Senior's Health, Sports, Women's Health and tagged health, lifespan, Running and the SunRun. Bookmark the permalink.